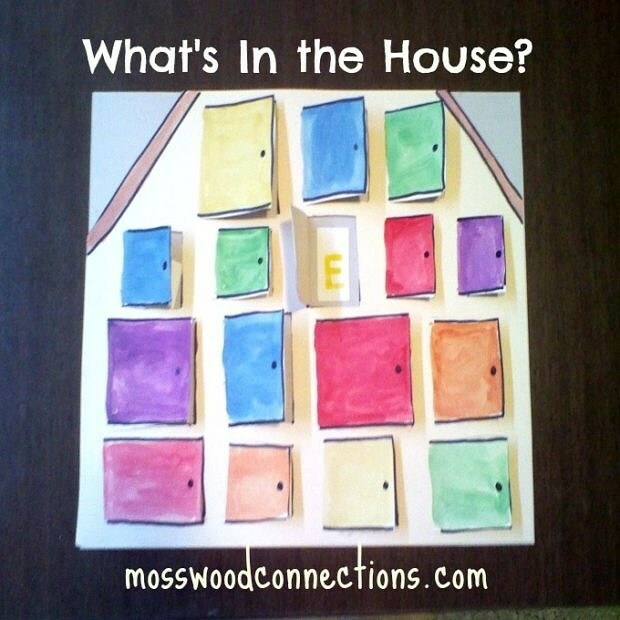 Home / Educational / Reading and Writing / What’s In the House? One young girl that I know loves to color. She colors with abandon, scribbling colors whenever she can. I appreciate the enjoyment that she gets out of coloring wildly but her teacher became concerned when she started to scribble her letters. 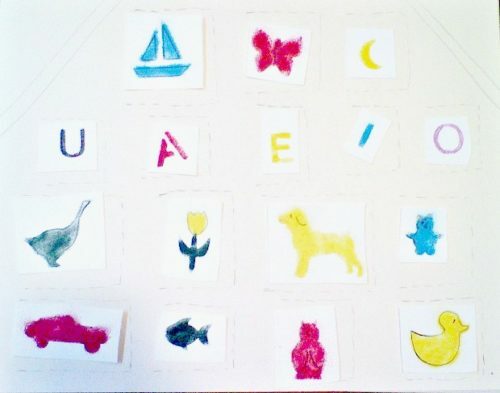 Since she loves art projects I had a lot of fun doing this early reading activity with her. Before we started I asked her if she wanted to follow my directions to make an art project. (This girl has autism and is non-verbal, but very smart.) She nodded, “yes.” I told her that I wanted her to control her coloring and writing, did she want to do that? She nodded, “yes.” And we spent the next hour enjoying our time together cutting, coloring and writing. Without her knowing it we also worked on language skills and categories with this fun speech and language activity. You may want to prepare the pictures that go in the doors in one sitting and then make the house with the doors another time, depending on the attention span of the children doing the project. Use the stencils and blow pens to make the pictures. If you don’t have blow pens color in with markers. However, using the blow pens helps develop oral motor skills and breath support which are important for speech goals and stamina. Allow the pictures time to dry (the blow pens dry quickly) and cut out the pictures. Place the pictures on the paper that will be the house and draw dashed lines where the doors should go. Have the child trace the lines that you made to outline the doors. Paint the doors different colors. Allow time for the house with doors time to dry. Cut along the lines so that the doors open. This is a job for an adult unless the child has great scissors skills. Glue the outside edges of the paper with the doors onto another piece of paper. Glue the pictures inside the doors. Now you have a category and language game! Give directions such as: Find the letter that egg begins with. Find something that begins with “f”. Find an animal. Find something blue. Find something you see in the sky. Find something that would be in water., etc. 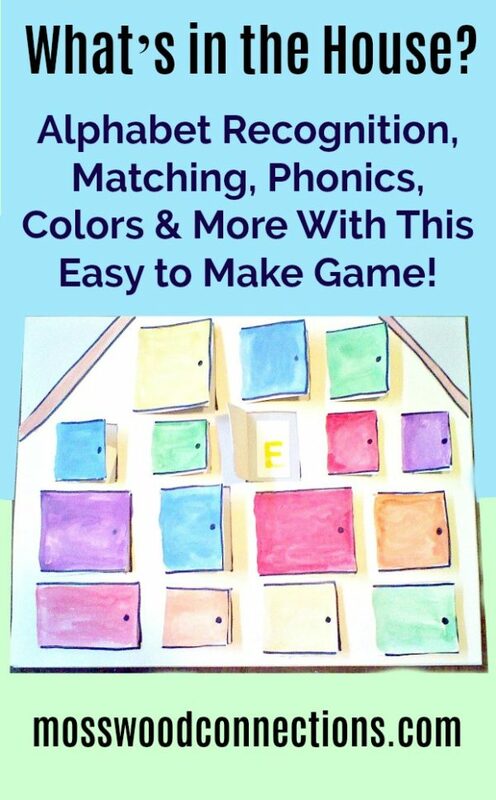 You can also make this a memory game by making 2 of each picture and have them find matching pictures.